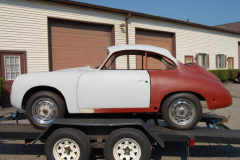 1962 Porsche 356 B Coupe. 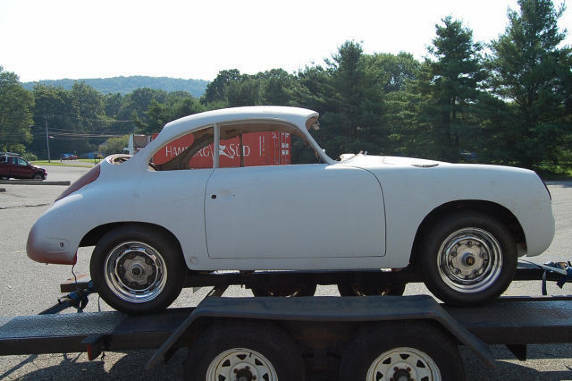 Odometer shows about 46,000 miles. About 90% of metal work professionally done, most all of chrome done, new Autos International Interior. Transmission is fitted to car, but no engine. 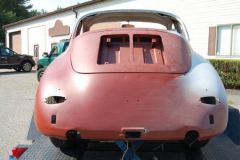 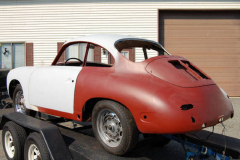 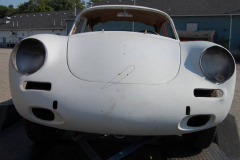 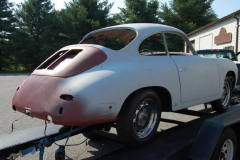 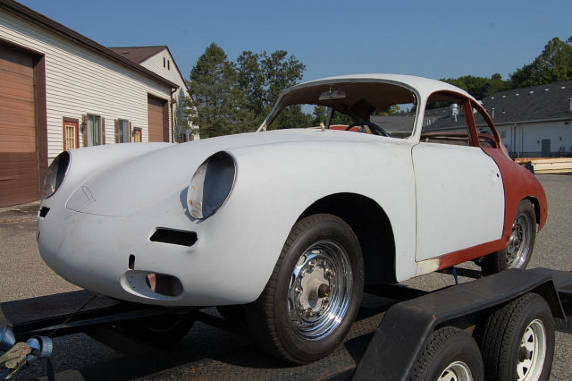 Many thousands have been spent on the hardest part (the body)of restoring a 356. 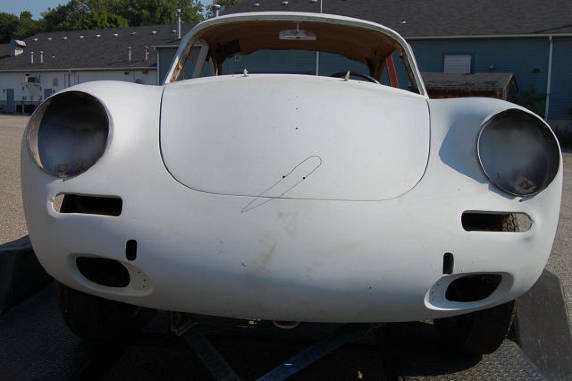 Bumpers missing, rear seat bottoms missing. 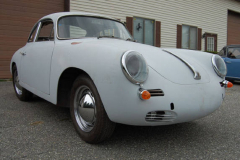 COA shows the car was originally Silver with a blue leatherette interior.